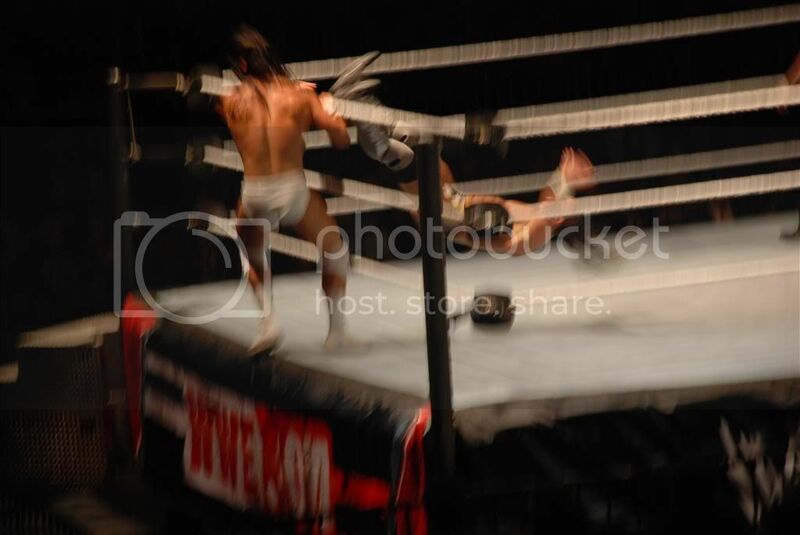 Anyone who has followed my site knows that I am a HUGE fan of WWE, and I have been ever since I can remember. My big brother got me hooked when I was very young, and some of my most special childhood memories come from our bond with each other and the WWE. Even now, the WWE holds some of the most memorable moments in my heart and mind. Not only do I love the fact that is is a passion that my hubby and I share, and enjoy watching together, but I cherish being able to share the tradition with my son. Seeing his face light up when John Cena's music hits or when the Smackdown or Raw theme songs come on(they come on kind of late, but I DVR them for him) warms my heart every time. As much as I enjoy sharing the WWE with my family, and the sentiment alone is special to me, I also enjoy the excitement of it all, and it would be amazing me to whether or not there was nostalgic undertones. The shows are just a blast. Watching WWE on TV whether it is Raw, Smackdown, Main Event, Saturday Morning Slam or a PPV, is the highlight of my day. As awesome as that is, it does not even begin to compare to attending a live event. 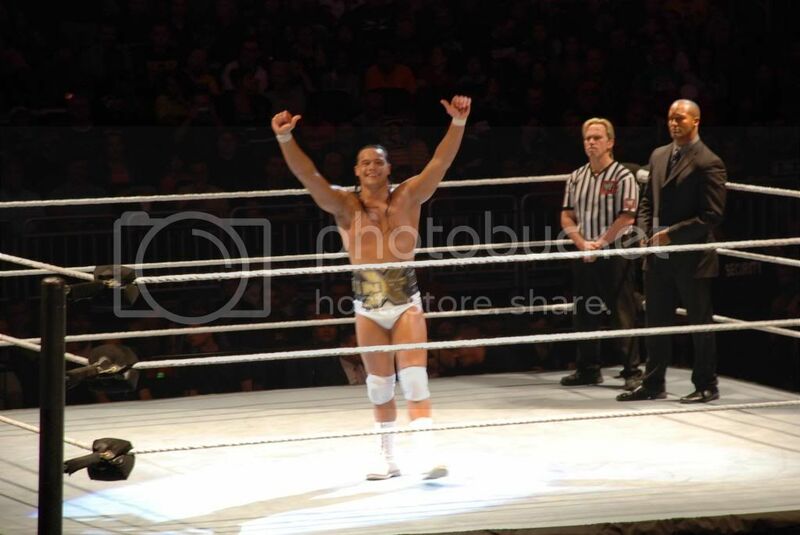 I have attended a few, and whether it is a house show or a PPV event, the superstars always show up to entertain, and give the fans everything they have. The crowds are so involved, and there is a sense of community even though they are strangers. It is just beyond words. My family and I attended an event on Saturday at the Amway Center in Orlando, FL. It was a decent drive, but any time the WWE comes within 300 miles of our home, I plan to be there. This was just a house show, but you'd never know it with the level of matches and the enthusiasm of the superstars(and fans). At the beginning they even had us rise for the National Anthem, which I loved. 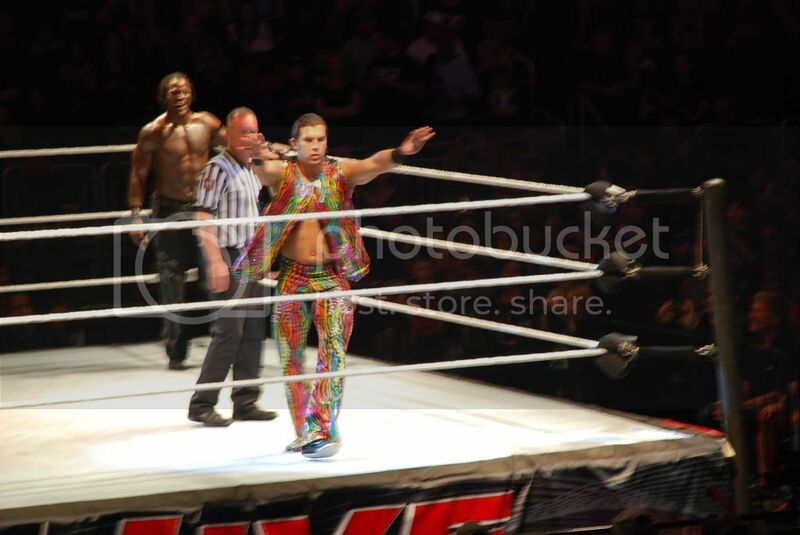 The first match was R Truth vs Fandango. 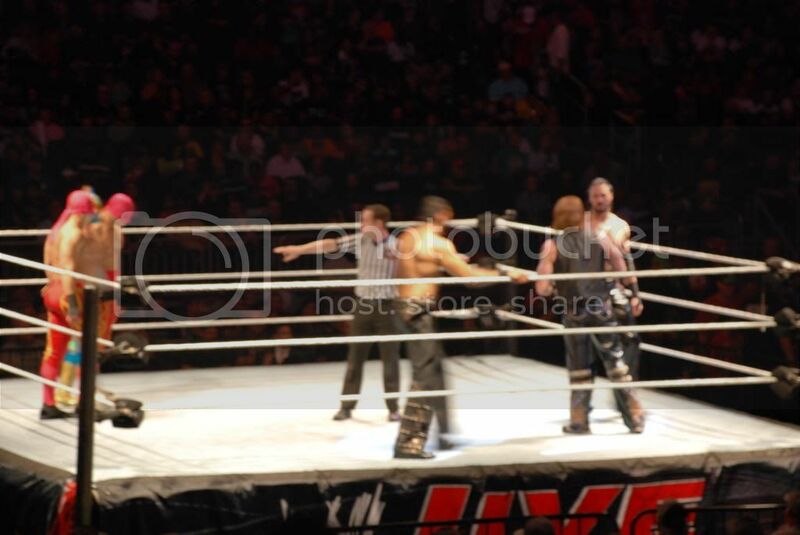 The match was full of action, even though both superstars were having fun showing off their dance moves. 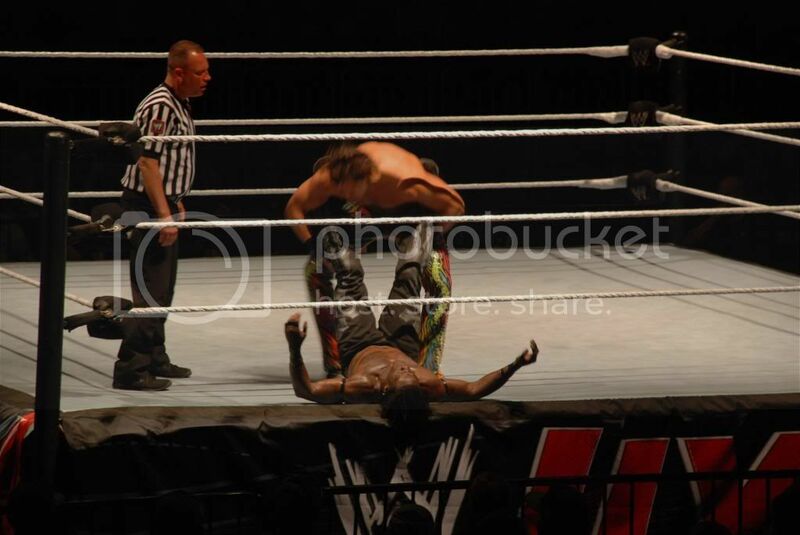 In the end, R Truth came out the victor. The fans seemed to be on his side the whole match, although to me, I'd have been happy with either winner. It was a great match. 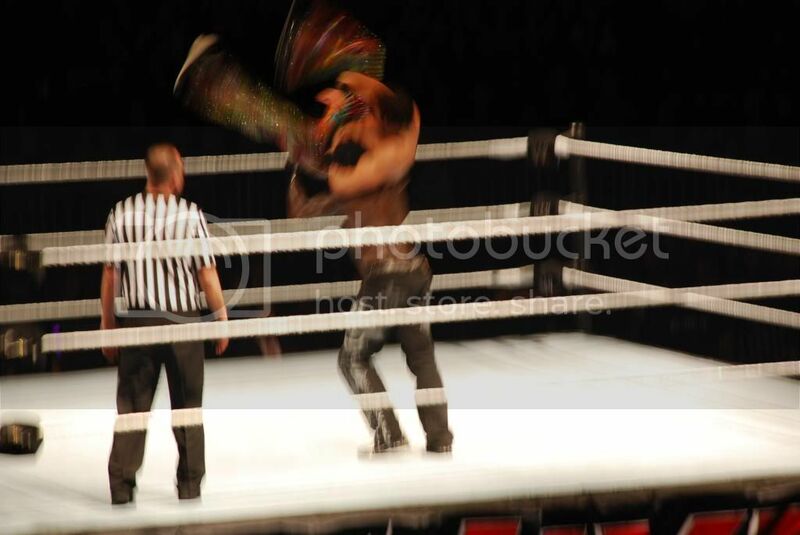 The next match was a Divas Match. It was a fans choice match. At the Start of the event there was 2 choices on the screen, A - Dance Off, B - Tag Team Match. The fans got to vote the WWE app. It was so cool to be able to decide the match. 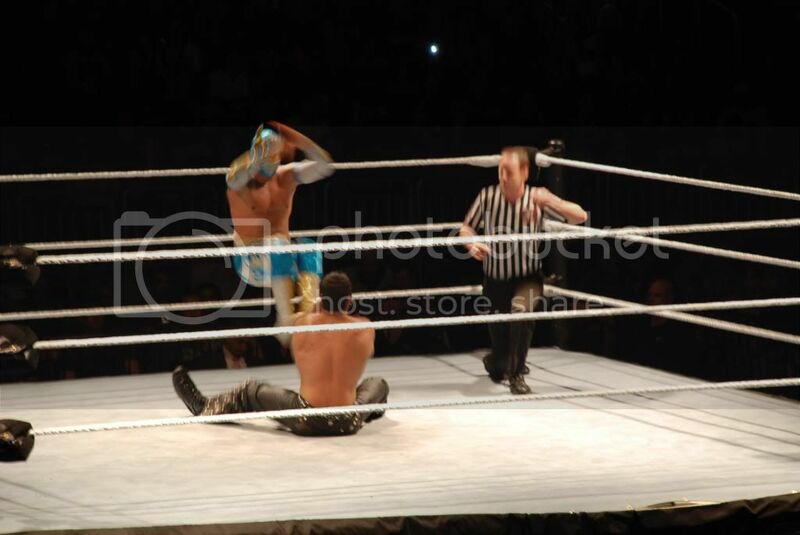 We fans chose a Tag Team Match. It was The Funkadactyls vs Alicia Fox and Aksana. There was a lot of dancing in this match too. The Funkadactyls love to dance, and many of their moves are even dance-like. This match saw more action than some men's matches, which was really cool. In the end, the Funkadactyls were victorious. So of course, they danced some more, and the crowd loved it. 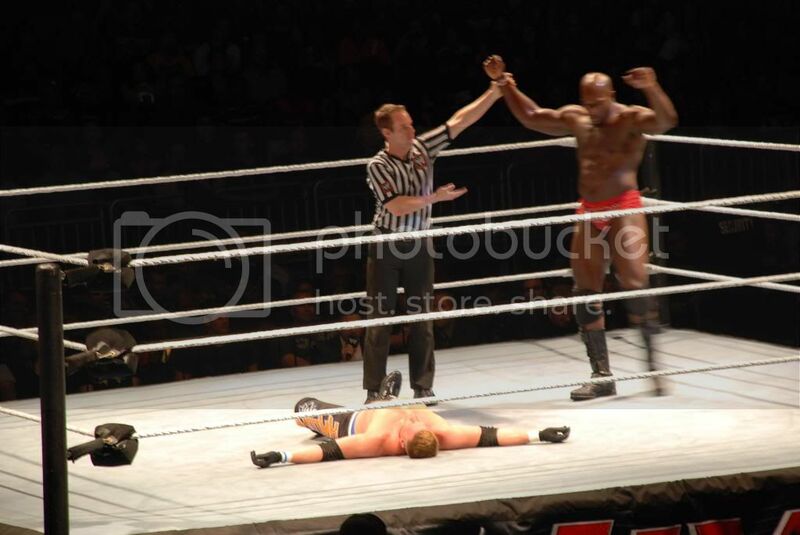 Then came Titus O'Neil who recently turned on his Prime Time Player Partner Daren Young. He riled up the fans by dissing one of the home teams (UCF) as he is a former Gator. 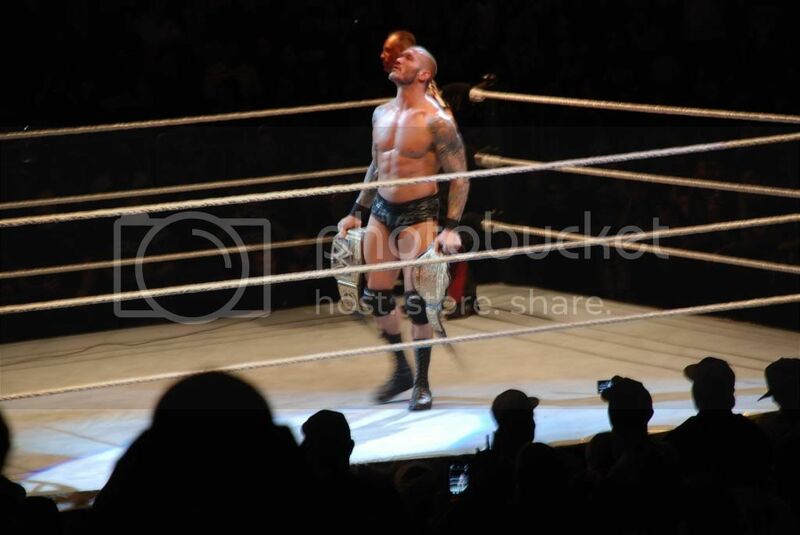 The fans wanted him to go down, and it was up to Kurt Hawkings to do it. It was a great match, unfortunately, Hawkings was unable to defeat Titus. After a brief intermission, the action picked right back up with a bout between the NXT champion, Bo Dallas, and another NXT superstar, Adrian Neville. A have not been keeping up with NXT, but now I know I really should be, because this match was great. 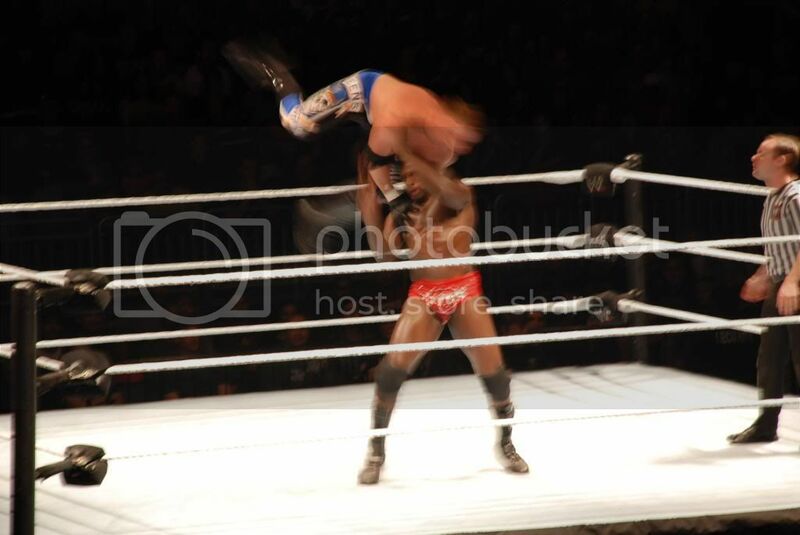 In fact, it was one of my favorites of the night, such a high flying bout. The crowd was all for Adrian, the really hate Bo Dallas, luckily, the fans got what they wanted, because Adrian got the victory. 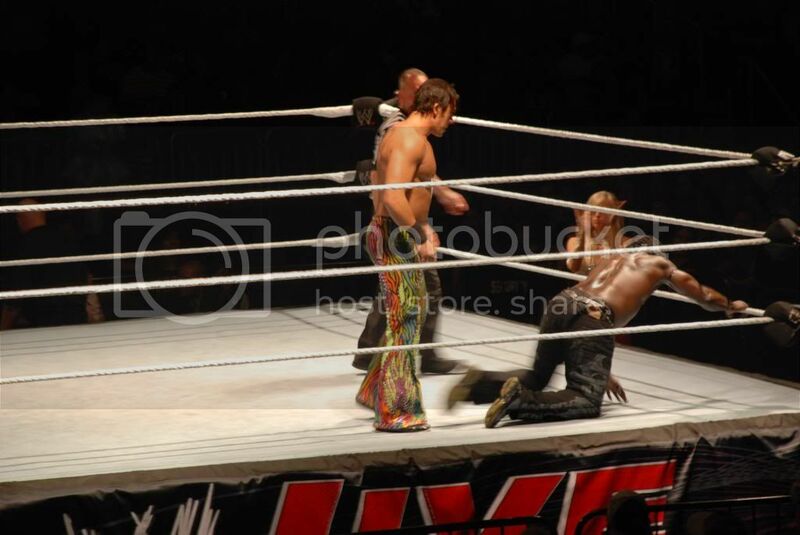 The next match was a tag team match between the Real Americans and the Rhodes Brothers. The Real Americans, of course, came out and insulted the fans, so of course, everyone was pulling for Goldust and Cody. 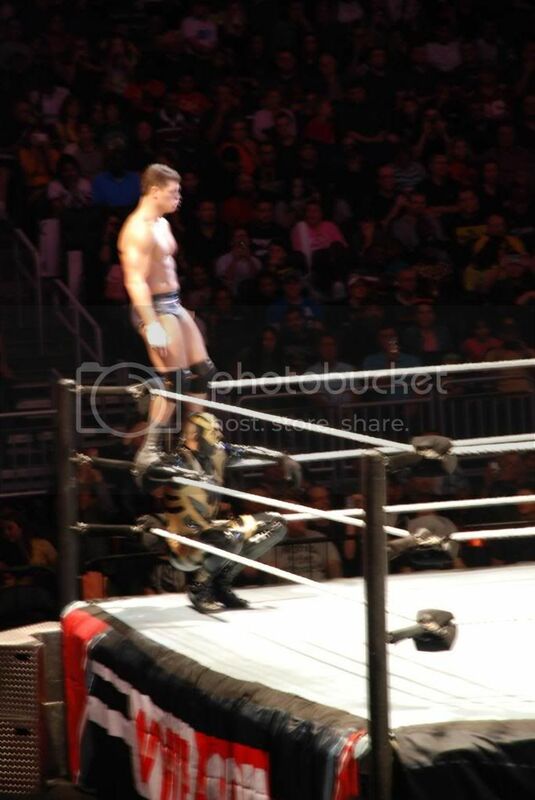 In the end, Cody hit Jack Swagger with the Cross Rhodes to pick up the win. 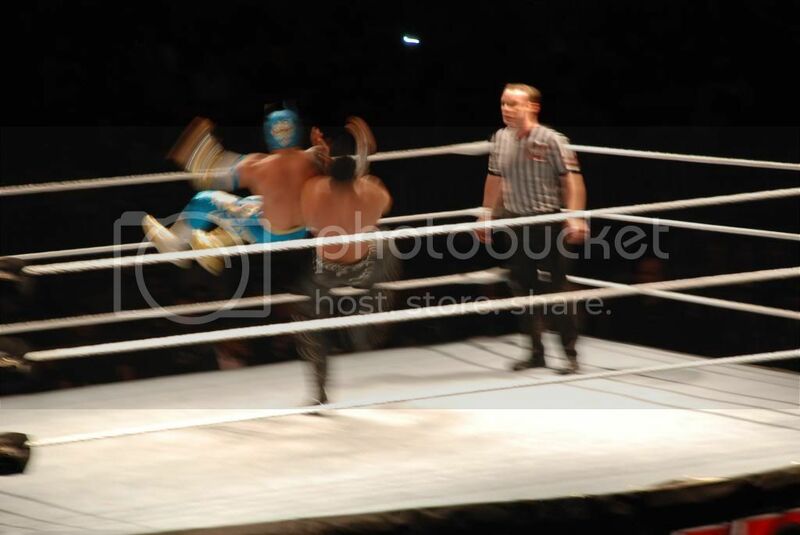 After that amazing tag match, was a 6-man tag match between Los Matadores and Sin Cara and 3MB. 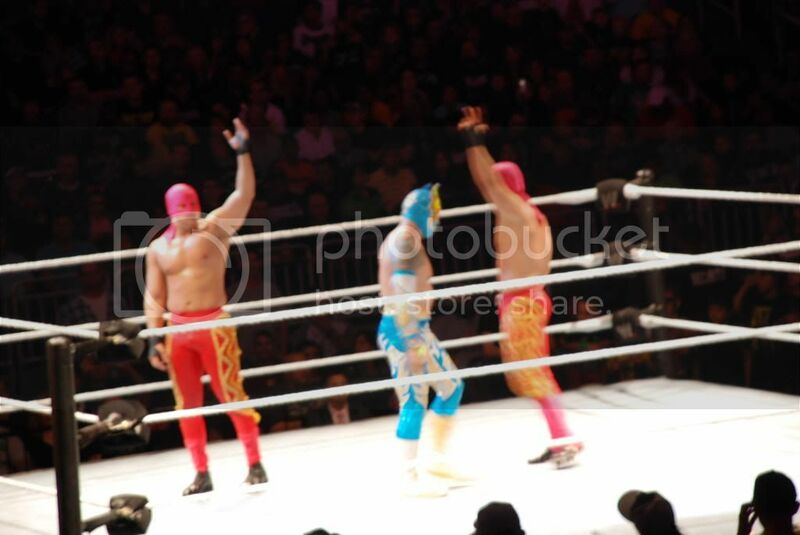 While I was kind of hoping for a 3MB victory(I don't think they get enough credit), the crowd was very pleased with the Sin Cara/Los Matadores victory. The next match was huge, in more ways than one. 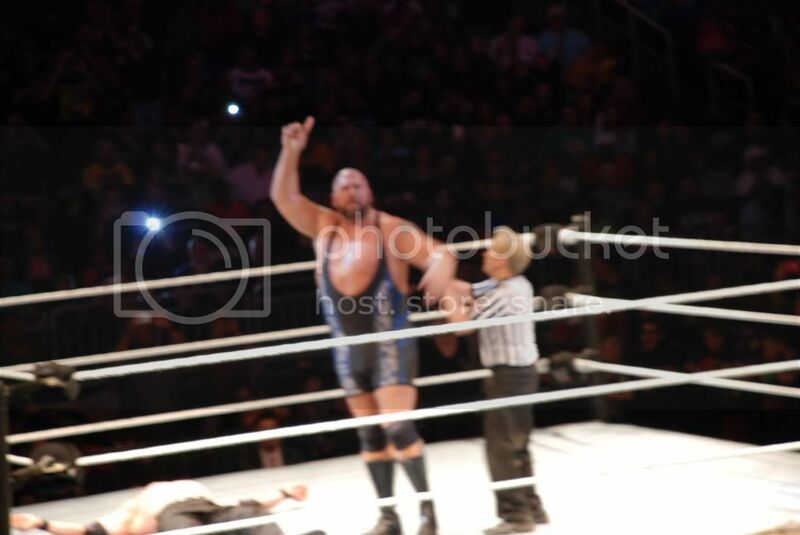 Kane, who is a giant in his own right, took on the World's Largest Athlete, The Big Show. 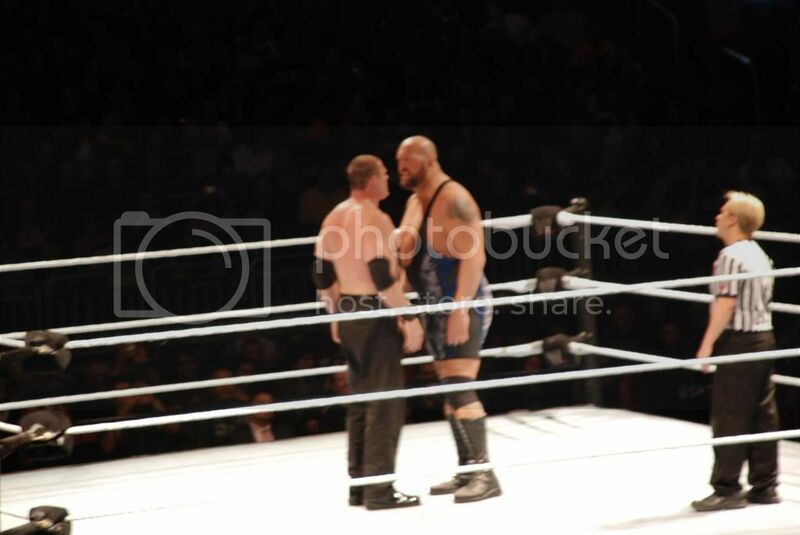 While these are two huge guys, the match was more technical than I thought it would be. I really enjoyed it. 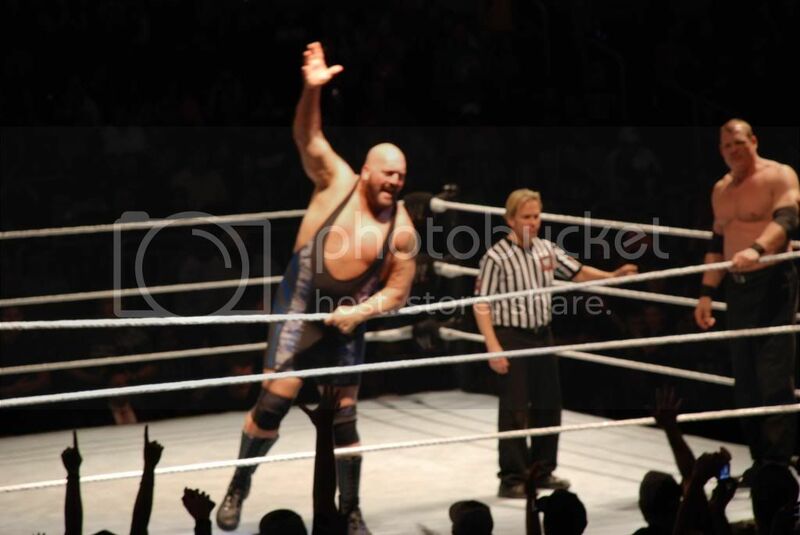 In the end, I guess Kane was unable to compete with the massive stature of The Big Show. As if all of the previous matches were not enough to make an incredible show, the last match blew me away. 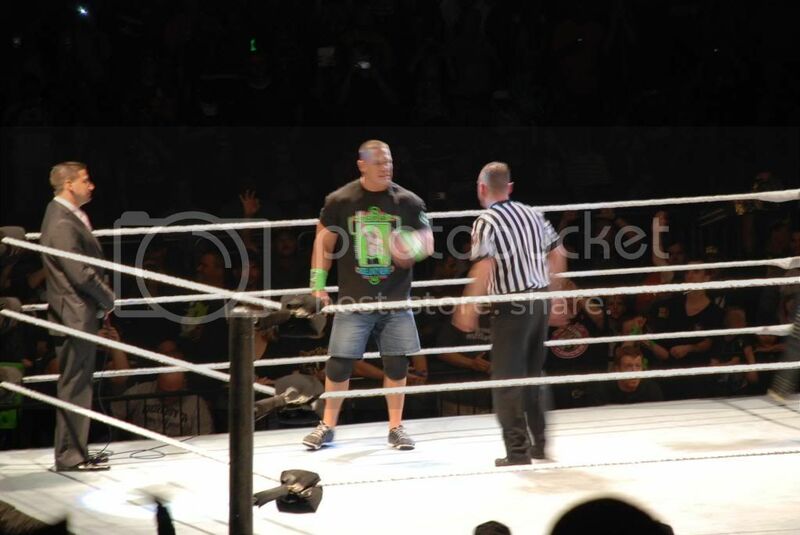 The Main Event was Randy Orton vs John Cena for the WWE World Heavyweight Championship. That is a PPV quality match. This was an awesome match. 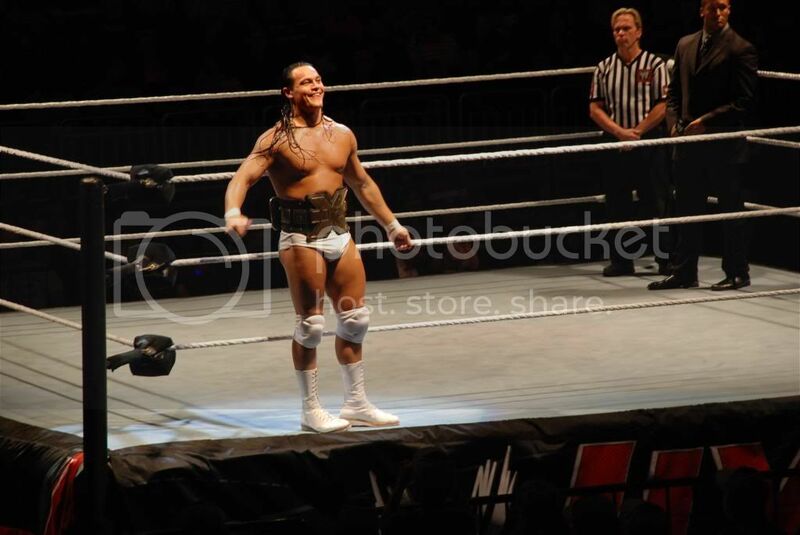 Both Superstars were playing to the fans, but Randy Orton was especially, mocking Cena and trying to get a rise out of the fans. It worked. 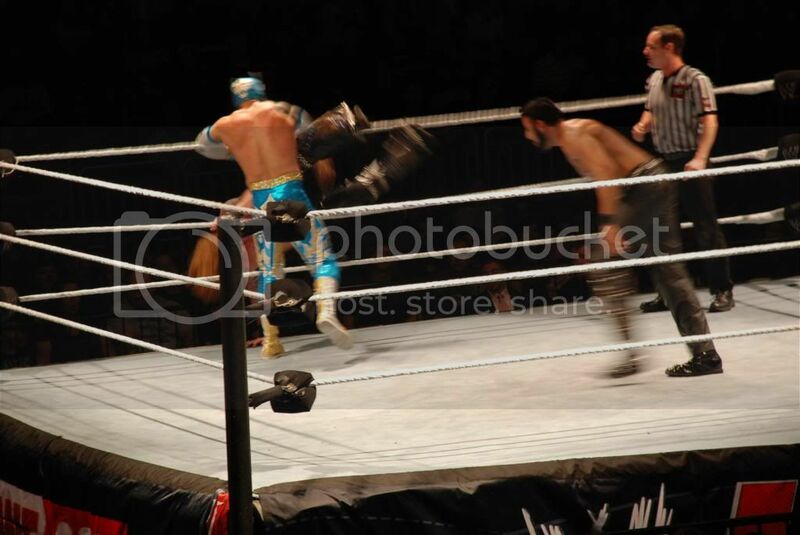 Both superstars hit their finishes several times, yet the other continued to kick out. 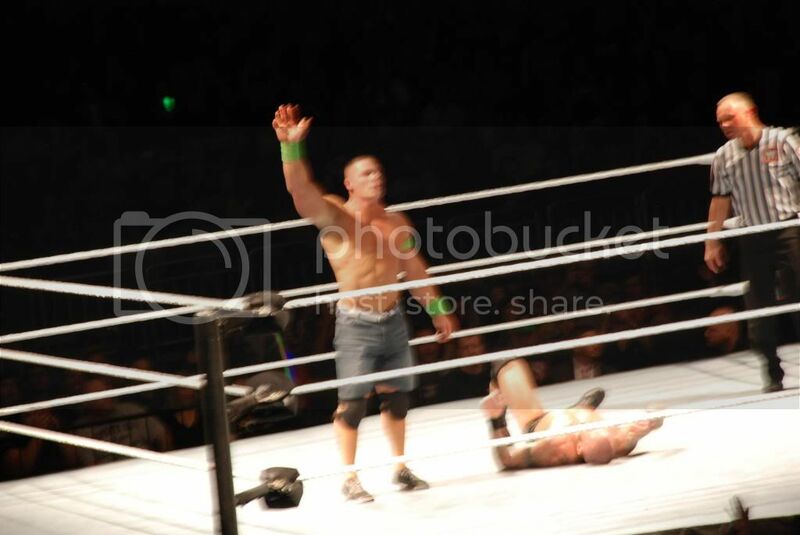 The end result was Randy hitting Cena with a low blow. 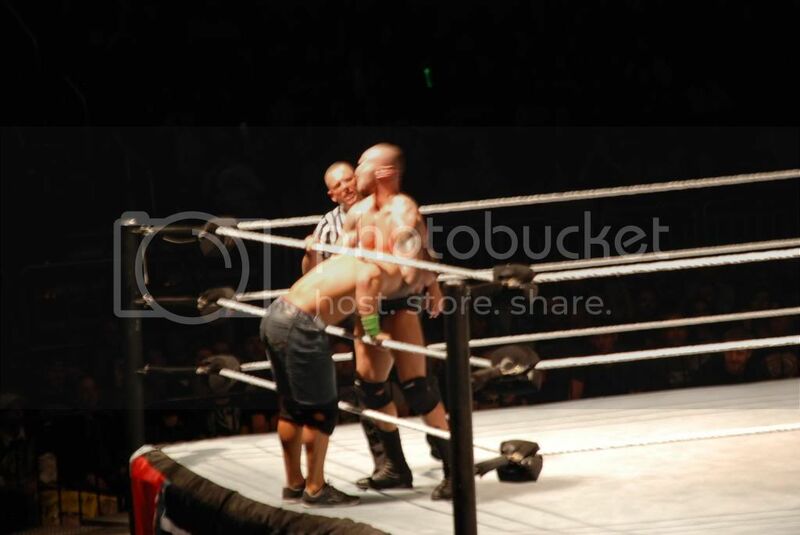 That gave Cena the win by disqualification, but Randy retained his title. 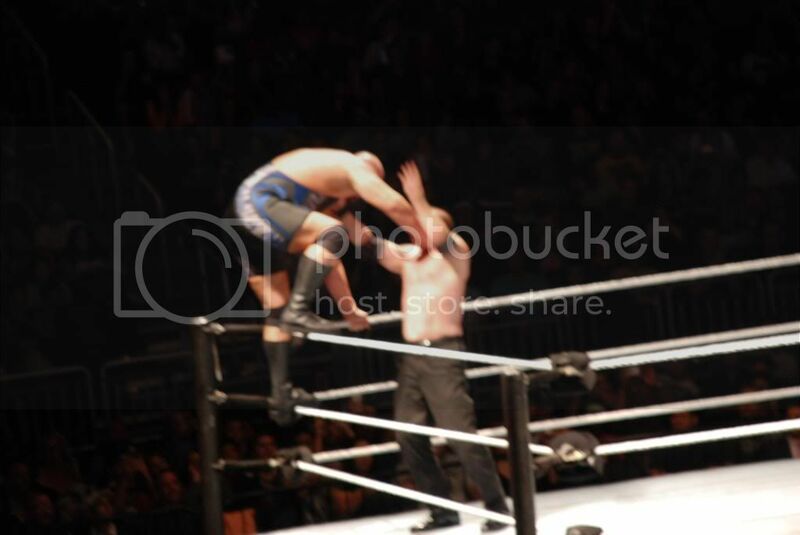 Cena had the last laugh though, hitting Orton with an Attitude Adjustment. And the fun didn't end after the last match, We hit up the Merchandise stand and bought some T-Shirts. I got my son and daughter each the new Cena shirt, and hubby got Batista. 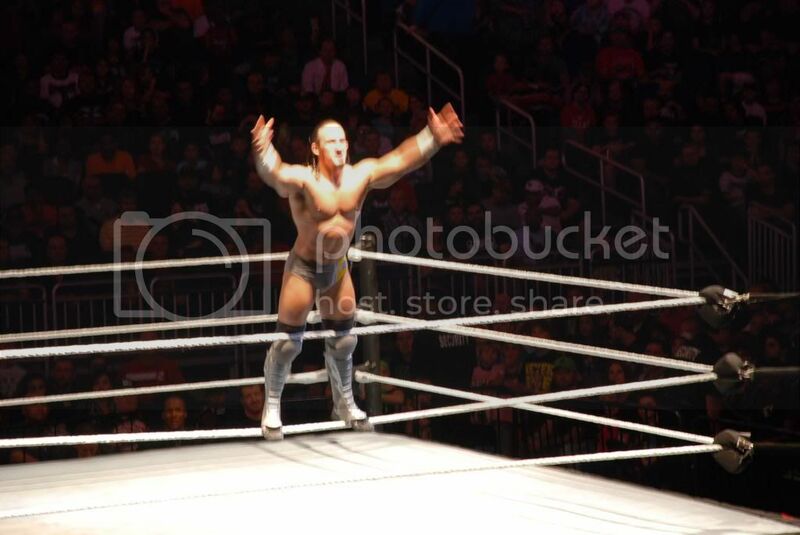 I got a fabulous autographed poster of Randy Orton. 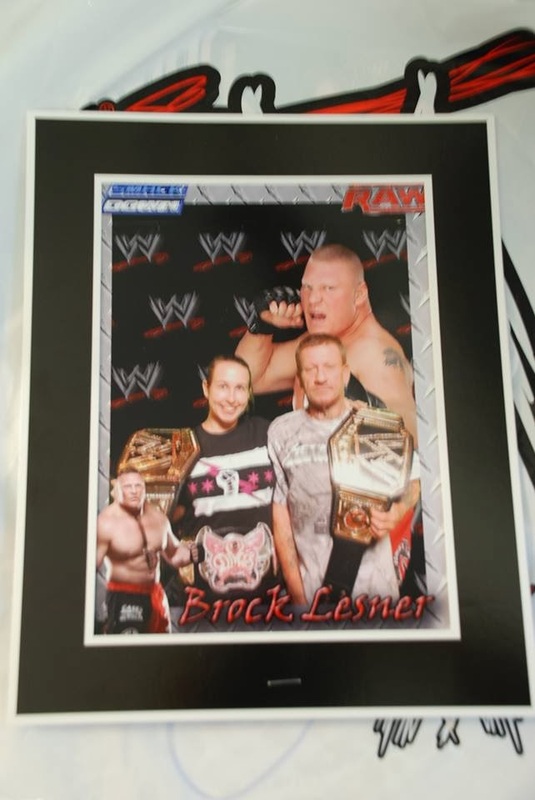 Then hubby and I took a picture with the Green Screen, the WWE title and Brock Lesnar(digitally added). 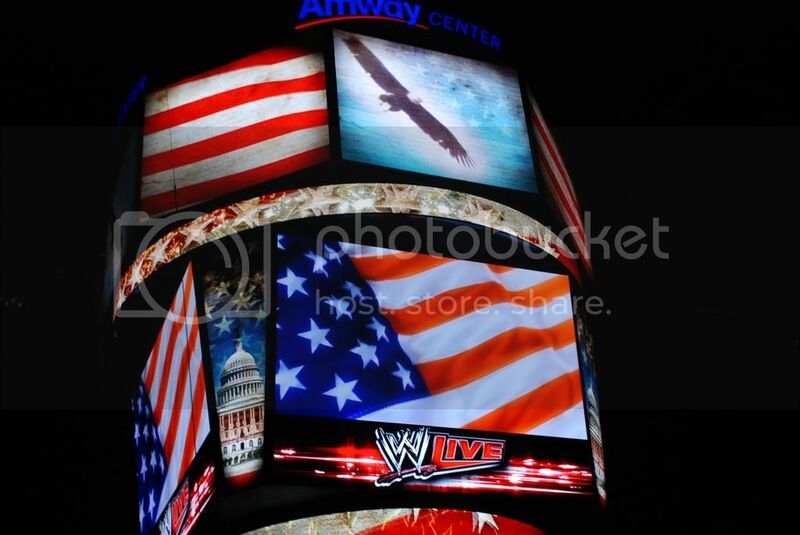 Overall, this was a spectacular event, just as every other WWE live event has been. If you have never been(or if you have), you need to make it a priority to go next time one comes to your area. It is an experience you will remember forever, and a great way to bond with your spouse, kids or friends. I know we'll be at the next event to come near us, and I hope to see you there, or see photos from an event in your area.